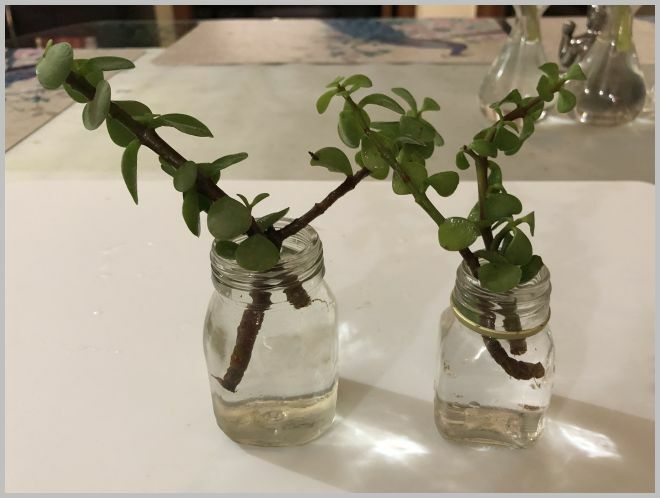 As everyone knows by now, I have a new obsession – playing with succulents. Ever since i rediscovered my succulents’ collection i have been going crazy planting them in teacups, looking for new babies and propagating them in soil & water. Jade is one the easiest succulents to grow, indoors as well and I thought of propagating some small cuttings for more projects. 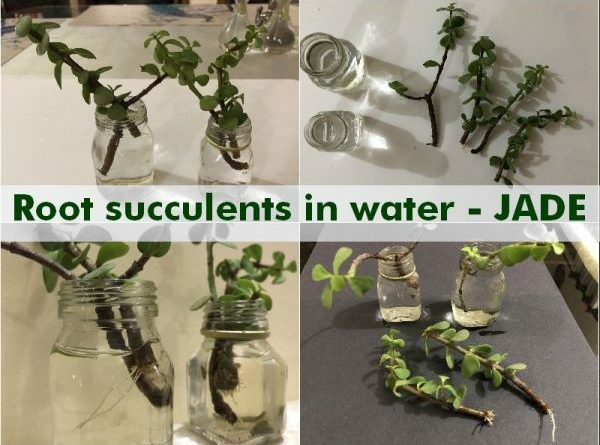 While you can just stick one in soil and it will grow, rooting jade in water is fun & quicker too. Documenting the process here, for reference. 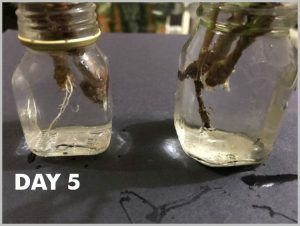 I am hoping this helps someone who is as crazy about rooting plants in water as i am! 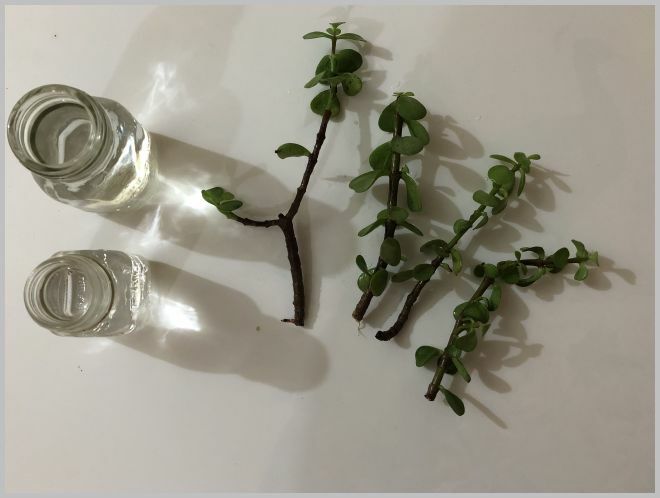 Get some small cuttings. I have some big plants that i snip these off of. 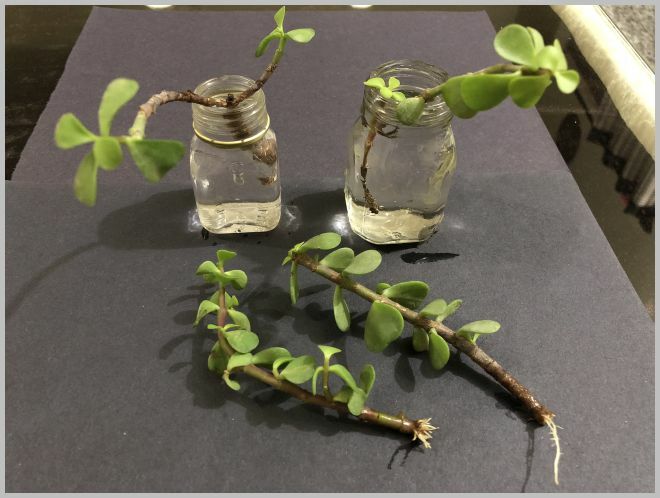 Put them in a jar of water & place at any well-lit place indoors. I chose the dining table. 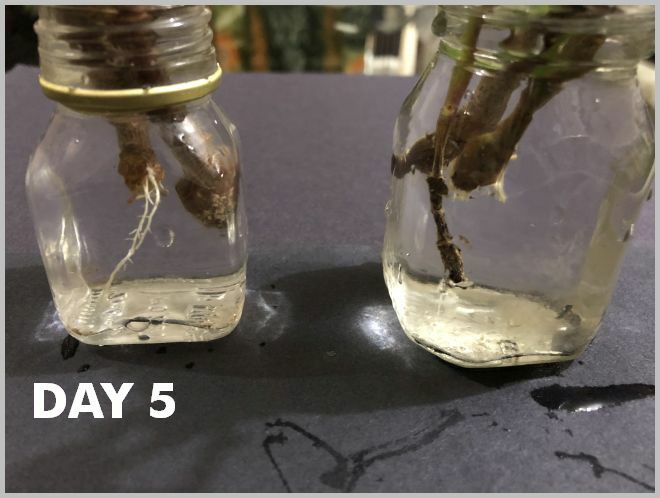 And after a few days.. This is seriously so simple that i don’t even know what to write. Except when you see roots, take them out and plant because they may also rot. 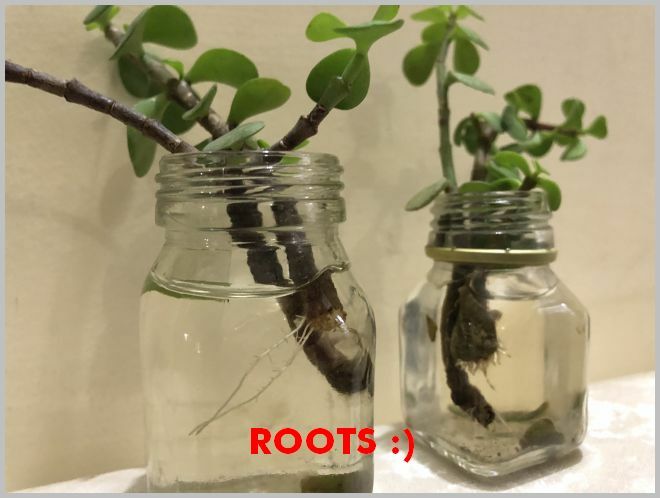 Keep in mind that they will only root in water and not GROW. They enjoy full sun & soil. Indoors, the leaves drop frequently. JOIN OUR GARDENING COMMUNITY ON FB FOR MORE TIPS AND TRICKS!